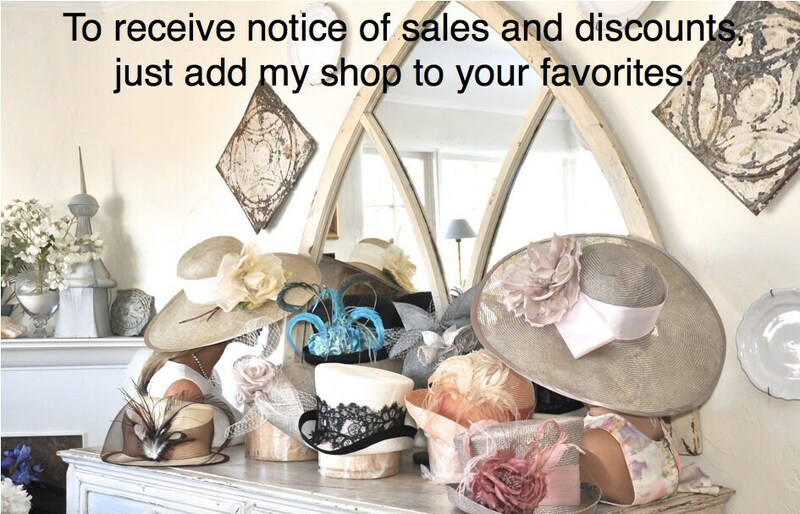 This is a beautiful, one-of-a-kind little hat that I made in my millinery studio in the Hollywood Hills. 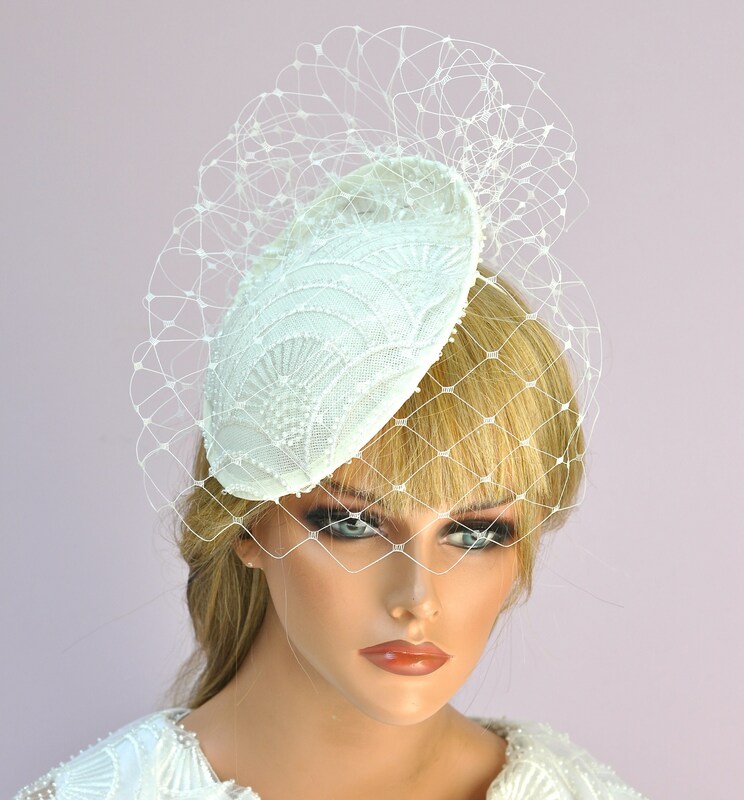 This ivory beaded headpiece is perfect for a wedding, the horse races, cocktail party or any other special occasion. 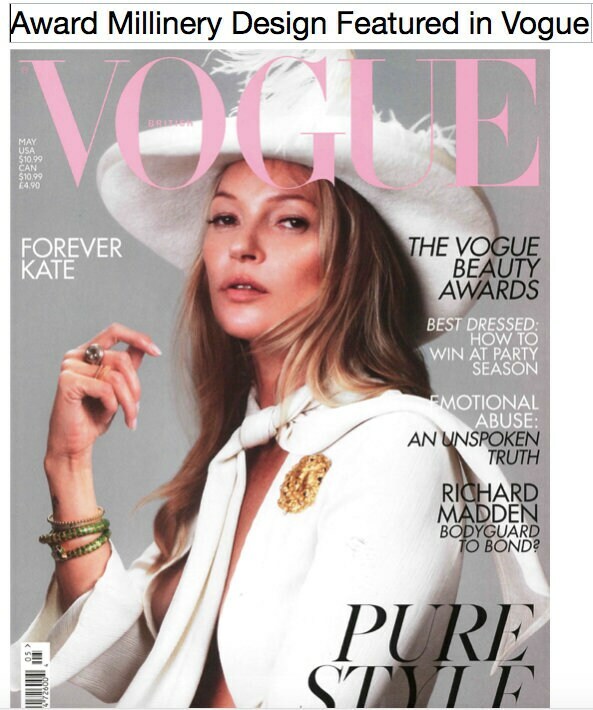 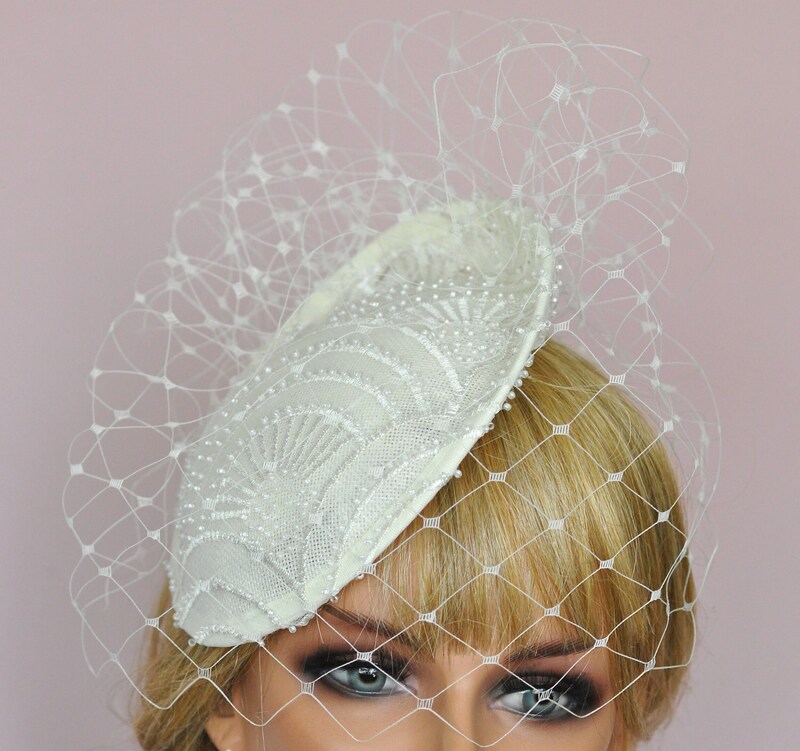 Little hats with veils are all the rage this season with top milliners and their celebrity and royal clients. 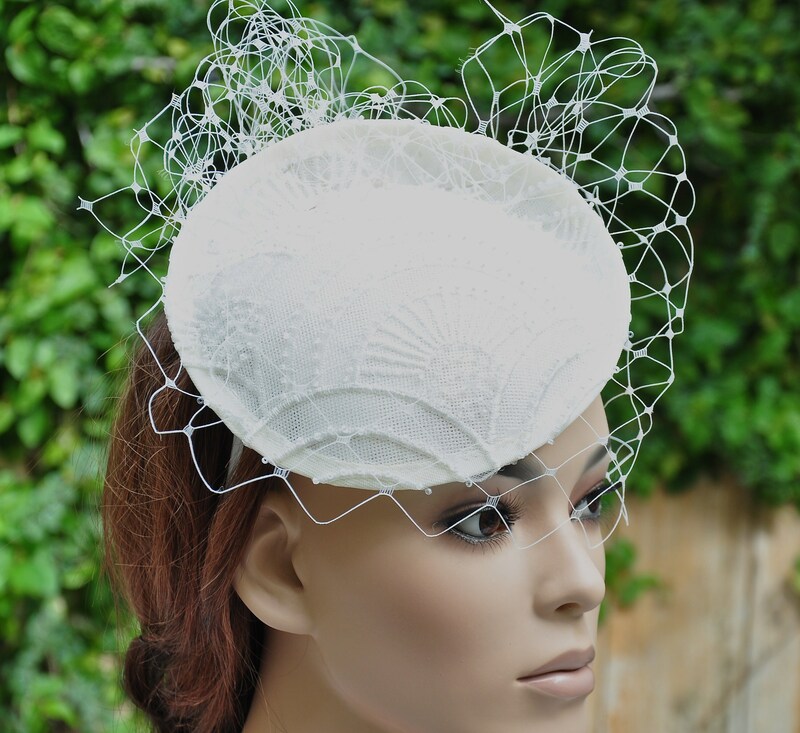 Fits all with an ivory satin covered headband. 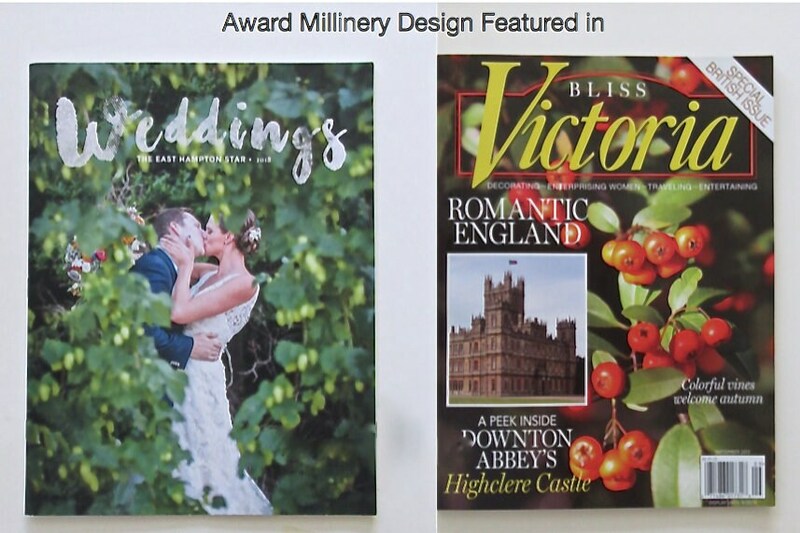 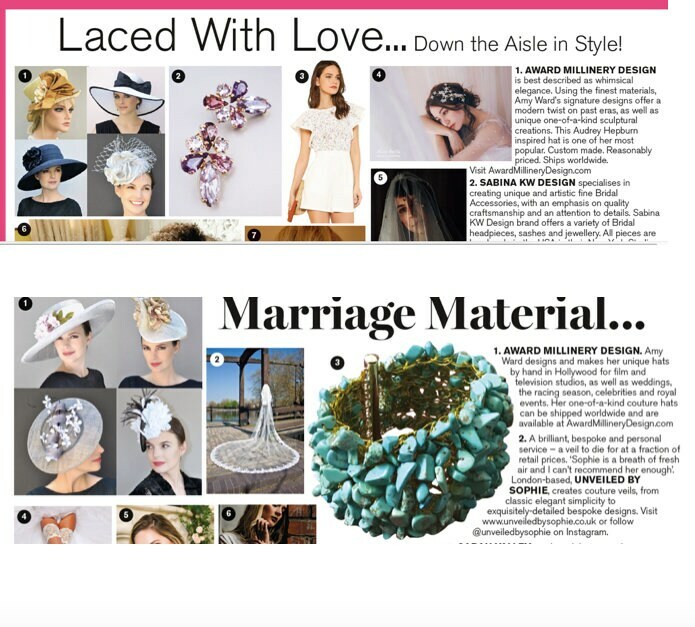 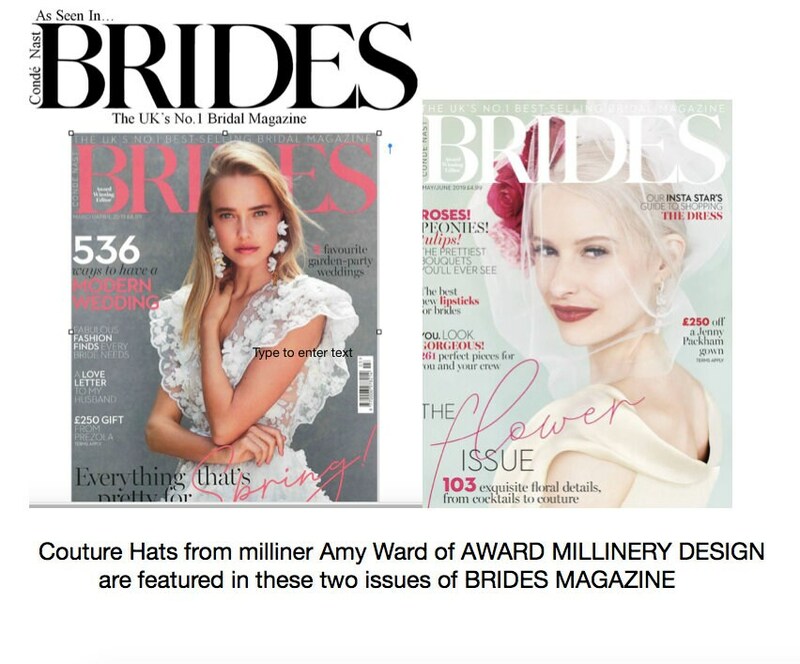 My hats have appeared in Brides Magazine, Victoria Magazine, Weddings Magazine, and been worn at the Royal Weddings, Ascot, Buckingham Palace Garden Party, Kentucky Derby & Melbourne Cup. 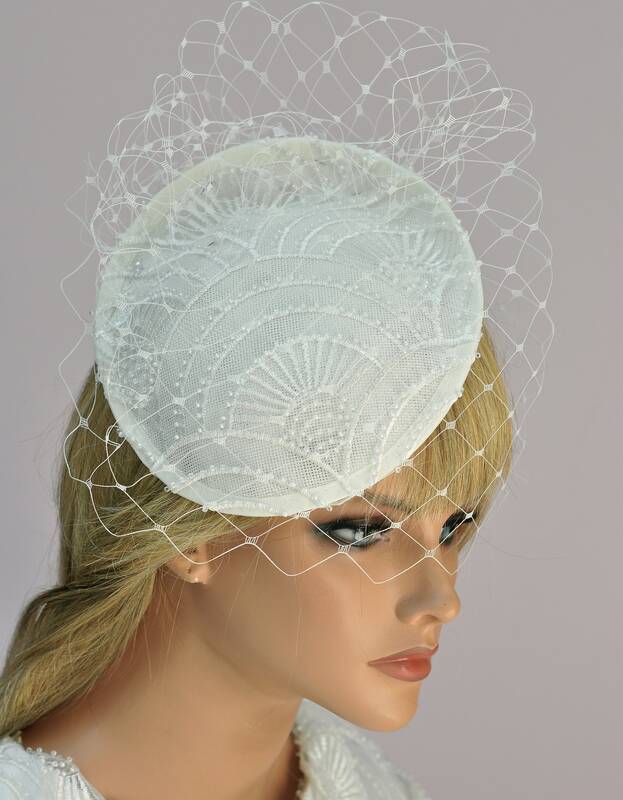 Disney Studios commissioned me to make 9 hats for the Oscars. 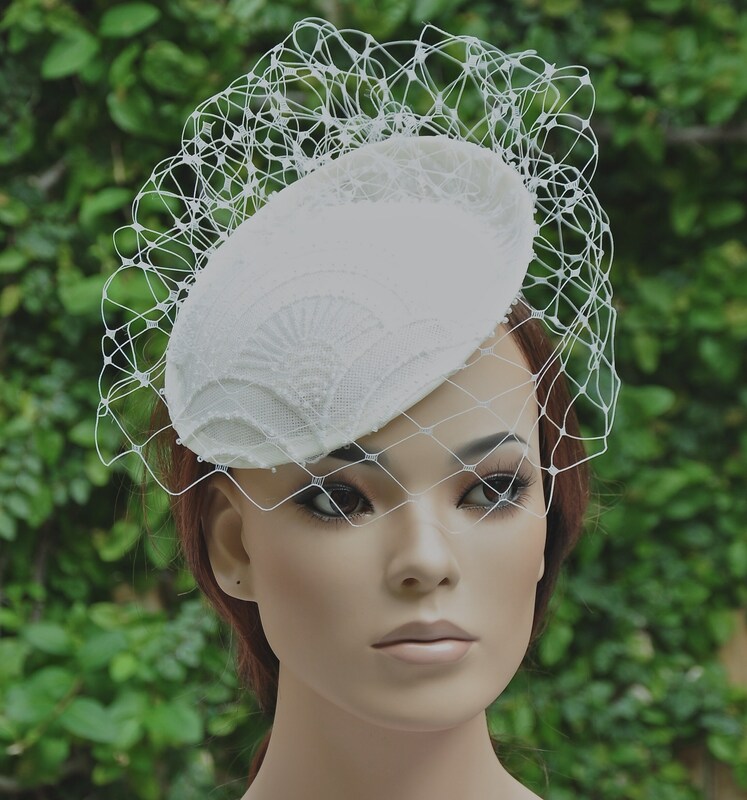 This is not a rain hat and should net be worn in the rain.